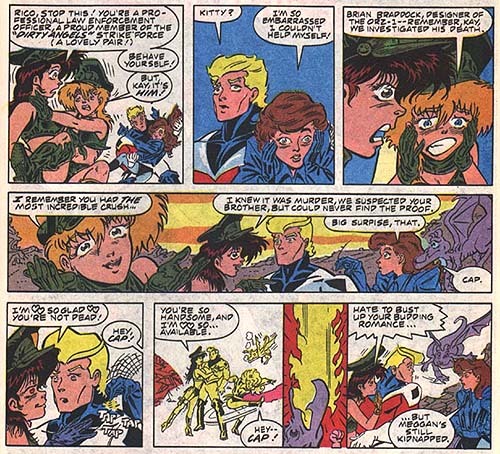 Double Impact was a creation of Cuban-American artist Ricky Carralero, begun as a comic series in 1994. 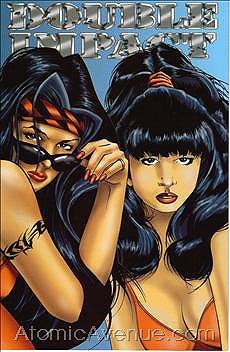 "China" (Sandra Vasquez, often wearing a red headband) and "Jazz" (Elizabeth Rodriguez) are code-named mercernaries in the present-day world, working for the agency Inside Central Intelligence. 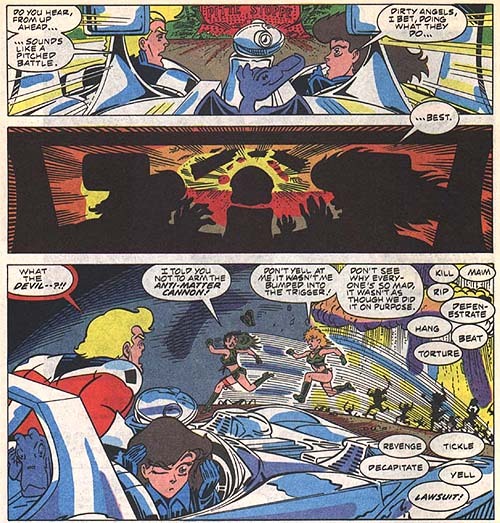 Published through High Impact Comics, the book ran until about 1997, then was revived in '99 as a story set in 2069 with genetically-engineered clones of the original team. 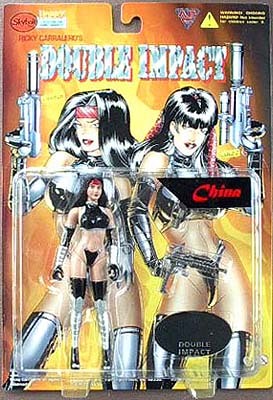 A set of action figures was also marketed by High Impact during that time.